I have to honestly say that I have a huge amount of respect, pride and admiration for the work ethic, discipline and commitment to craftsmanship of many people I’ve come across in the roofing industry. These are people that work their tushes off every day, never allow sloppy work from their co-workers, are knowledgeable in how to craft long lasting roofs with high functionality and aesthetic appeal and are well-versed in the topic of shingle quality. But I’ve noticed that there is another segment of the industry that either doesn’t know or doesn’t care about what actually goes into a high quality roof except for the surface level understanding that they have from working on other crews about what it means to “finish the job”. I recently had a conversation with a fellow Hamilton roofer (who shall remain nameless) about shingle quality. He told me with a straight face that BP 3-tab shingles were (and I quote) “the best product on the market”. Setting aside the idiocy of that statement, in light of high end products like steel and slate roofs let’s look at the more common options of 3-tab vs. Architectural as well as the various manufactures who supply them, since these are by far the two most popular options in today’s marketplace. I was astounded to hear this because it really illuminated the classic difference between a “shingler” and a “roofer”. In my opinion, a shingler is someone who knows how to install the products given to him. A roofer is someone who understands the mechanics, functionality and science of how a roof works AS WELL AS how to install. A roofer should know things like the proper amount of ventillation, why underlayment is important (besides just a second layer of protection), and which products and manufacturers are better than others especially when it comes to shingle quality. Let’s start with the manufacturers. I can’t count the amount of times I’ve gone to do quotes and have gotten beaten by someone quoting IKO or BP shingles and were able to beat my price by $300-$500 bucks, since I have a firm commitment aside from extreme financial concerns on behalf of the homeowner to provide my clients with the highest quality roof possible within their budget. None of that price differential would be going in my pocket. On the average roof, the difference in terms of price between IKO/BP as opposed to a high shingle quality works out to about $300-500. Many roofers and contractors prey on the fact that the average homeowner knows little to nothing about roofing products and who the good manufacturers are. In fact, what’s almost worse is the fact that I truly believe many roofers and contractors don’t even know themselves! Homeowners save a couple hundred bucks up front and are left with a VASTLY inferior product. IKO and BP BOTH have settled very large class action lawsuits against them recently and yet people STILL continue to use them. In IKO’s case the settlement was $7.5 MILLION dollars!! That doesn’t sound like a company that is committed to making a good product to me. More information about the class action lawsuit against BP can be found here. Even Jon Eakes took note of the class action lawsuit against BP!! So it should be pretty clear that despite their popularity installing IKO or BP is fuelled by either ignorance or a way for a contractor to cheap out and save a few bucks to land a contract. Now what about the differences between architectural and 3-tab? The difference here is even more remarkable. According to McGarry and Madsen, the average life of a 3-tab shingle is 15-18 years as opposed to architecural which lasts around 24-30 years on average. Chase NW put together a great comparison of 3-tab vs. architectural among the various manufactures. The high shingle quality of the architectural shingle manufacturers that we use almost exclusively (GAF, Certainteed and Owen’s Corning) all come out looking about the same. The biggest differences between those 3 are that GAF shingles weigh 210 lbs per square, Certainteed weighs 240 lbs and Owen’s Corning has 260 lbs. 3-tab doesn’t come close to comparing to architectural, especially given the fact that the history of IKO products compared to their competitors is essentially a giant industry scam. Another big difference which is hard to find information on is the quality of tar strip sealant used by each manufacturer. It’s very hard to get information as to why this is, but I know from personal experience that I see the sealant give out on IKO/BP shingles prematurely ALL the time, allowing them to flap in the wind which creates a real liability for obvious reasons. So homeowners: are you comfortable with saving a couple hundred bucks in exchange for a potential nightmare scenario where your roof blows off leaving you with thousands of dollars in damages? Contractors: do you have experience with either selling or being undercut by someone using IKO or BP shingles? And finally, shinglers: are you aware of or care about the quality differences between manufacturers? How seriously do you study the quality difference and functionality of materials in addition to learning how to install better and faster? Leave your answers in the comments below! Every manufacturing company in the roofing industry has class action lawsuits. Some did a better job of cleaning them up. There are many ways you can look at this. One u think BP and Iko are a cheaper product based on price and what u read online that happened 20 years ago. Those two products don’t advertise allowing them to save money on costs. I’m not trying to be one sided to what I’m saying. I’ve personally been in the field for 15 years. Every product has failed and done so on a big level. It’s manufacturing it is bound to happen. 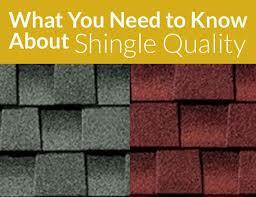 Shingle also last longer in certain parts of United States . Most roofers get a bad taste in there mouths and they avoid that product and they tell everyone else about it. Then some love it cause they never had the issues. I see the claims come through , They all have problems. All that has to be made up somewhere. Usually the roofer pays for it. Some do way more than others. And those are typically your more expensive brands. Weight of the shingles , u ever wonder why there is such a difference. Some choose to put more filler in the product to make it Harvey. Pabco for instance uses a ton of filler. Doesn’t mean it’s bad or good. They have chosen to be a very Heavy shingle. Thanks for adding to the discussion! You make some great points. There is certainly a divergence of opinion on shingles, but I do think there are some things that we can ascertain about the quality just by evaluating them head on. You make a good point that every manufacturer has had some kind of lawsuit thrown against them, but the ones against IKO and BP were especially decisive. I can’t find a settlement for GAF, Owen’s Corning or Certainteed anywhere near the $7.5 million IKO paid, and that suit alleged that they knew about their inferior quality since 1987! To me, what a company spends on advertising is more a strategic move by the company and has little to do with the quality of product they offer. GAF may spend more on advertising than IKO, and they may cost more than IKO, but they also seem to work WAY better than IKO in both the quality of sealant as well as the longevity of the shingle material itself. I also agree that the weight itself isn’t what makes a good shingle necessarily. Timberlines are pretty light, while Oakridge and Duration by Owen’s Corning are fairly heavy, but I consider them both to be good shingles. Speaking strictly from personal experience, I see IKO and BP’s blow off ALL the time as well as early deterioration and I hardly ever find ever find the same with GAF, Certainteed and Owen’s Corning. My opinion is that people who choose to install IKO or BP are either uneducated and ignorant or just willing to install a bad product for the sake of landing the job by cutting a few bucks. Thanks again for the comment, you certainly know what you’re talking about! Iam a customer and got an awaking with IKO product. I was going to go with them again thinking the newer version (laminent / Fiberglas ) was an improvement. Installer said he liked BP so it’s done. Reading this I guess I better saving up for another roof. How long this product last and I guess it’s been tested. Don’t know what expect. I guess maybe aluminium next. Or sell the house. IKO and BP aren’t that bad , it’s just that there are better options out there!